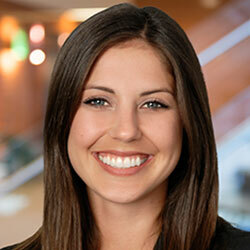 We discussed recently the question whether small venture capital funds could become viable businesses. We provided a few specific steps that fund managers might consider to maximize their potential for success. In this article, we turn to the critical issue of investments to be made by the manager of a “micro” VC fund. Good luck can certainly lead to a great fund (and the opportunity to raise larger amounts of capital in subsequent investment funds); there clearly are some investors (or dart throwers) who in the past few years invested early in what became decacorns (including Uber and Airbnb) and are managing larger pools of capital as a result. But luck is not a solid basis for growing a sustainable venture capital business. To the contrary, we share in this article certain observed patterns among successful micro VC managers. We begin at the beginning: there is an overarching need to develop an enormous pipeline of potential companies for investment. In our experience, seasoned managers are extremely disciplined when deploying capital and typically invest capital in only one to four out of every one hundred early-stage companies that are under review. A micro VC fund manager could anticipate making initial investments in twenty-five businesses in one fund, thus implying a pipeline of 1000 to 2500 companies to be screened during the five-year commitment period. Those micro VC managers seeking to grow a real business therefore need to have viable strategies and systems in place to generate this volume of deal flow. One threshold question may be the size of the internal organization; we most frequently see two or more investment professionals for micro VC funds (there are occasionally successful venture funds with only one person, but that individual must be enormously talented to succeed). Focusing on a specific sector or geographic region may provide better access to resources and experts in that market or industry segment. This practice might also limit the amount of expenses devoted to travel; a heavy travel budget can quickly cut into a manager’s limited management fees. A micro VC manager may consider developing a well-networked group of investment advisors who have significant operations experience or specific expertise in investment sectors or themes. Friends and colleagues with industry knowledge may be willing to serve as advisors and consultants. They can be compensated with a carried interest linked to companies where their expertise has driven real value, instead of a salary that crimps the management fee stream. 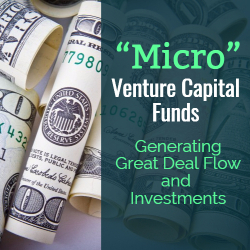 Assuming that a robust deal pipeline can be constructed of high quality businesses, the micro VC fund manager then needs to put capital to work. This may be a challenge too; many startup businesses have financing rounds that are oversubscribed and have the luxury of picking their investors. In our experience, thoughtful managers of smaller funds need to make compelling cases in competitive situations. Successful micro VC managers recognize the reality of the competition. They do thorough diligence, but on an expedited basis, and offer to fund quickly. They are easy to deal with on documentation as well, executing standard SAFEs and convertible notes without substantive negotiation. These investors also have capital in reserve for follow-on investments (and may have the ability to raise co-investment fund capital for particular investments). In our experience, these micro VC fund managers also offer to contribute resources beyond the financing. Such managers offer to devote attention, energy, and resources to assist the founders of a startup business, and they are proactive in thinking how to drive value. The specifics vary based on the startup’s needs but may include customer introductions and internal recruitment. Ambitious micro VC managers also look to team with larger venture capital funds. That may be valuable to the larger fund (when startup companies are looking to diversify their investor base). As with generating deal flow, the successfully executed strategy with larger, more established funds results from hard work by the micro VC fund manager who can prove that value is being created through the business relationship. 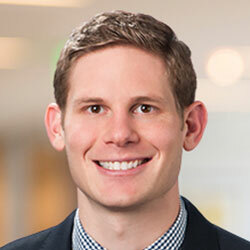 We recognize the significant challenges and hurdles but believe that a robust pipeline is critical to generating investment opportunities that put the micro VC fund manager in a position to succeed. Please see “Micro” Venture Capital Funds: Science Experiment or Successful Business? 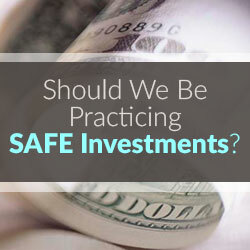 Will Angel Investors Put Their Money in a SAFE? One of the age-old problems for startup entrepreneurs in recruiting angel investors is putting a value on their company. Startups happen because the entrepreneurs think they have a great idea for tapping a lucrative market. If they executive on their plan, they think their company will be valuable. Angel investors have heard it all before. Great ideas new great execution, a stellar team, fortunate market timing and a little luck to hit it big. 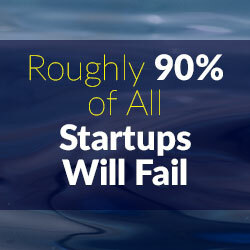 Roughly 90 percent of all startups will fail, so the value an angel investor will put on a pre-revenue startup is usually heavily discounted. The SAFE agreement (an acronym for “Simple Agreement for Future Equity”) is one recent development that tries to bridge the gap between the entrepreneur’s optimistic vision of future value and the angel investor’s pessimistic appraisal of risk. First introduced by Silicon Valley incubation firm Y-Combinator (an organization that claims to have funded more than 800 startups since 2005 with a combined valuation of more than $30 billion) the SAFE agreement gives the investor a non-quantifiable equity interest in the issuer that will convert into preferred stock at a defined conversion rate when the next qualified investment round occurs. The conversion rate usually is based on the valuation given the issuer in the qualified investment round, often with a discount in favor of the investor. In one alternative, the conversion rate also can be capped, giving a further benefit to the SAFE investor who effectively buys in at a lower valuation than the investors in the qualified round. In many ways the SAFE Agreement functions much like a convertible note. The investor puts money to work and eventually converts into equity at a valuation determined by a subsequent group of investors who have the benefit of hindsight. Unlike a convertible note, however, the money invested in the SAFE does not accrue interest, thereby benefiting the issuer. Also, without having a debt overhang the startup is better able to borrow money later if needed. While the SAFE investor will not have the liquidation priority of a convertible note holder, the SAFE agreement contemplates a liquidation preference for SAFE investors that comes ahead of other equity holders. SAFE investors also are protected in a change-of-control transaction (such as an acquisition of the startup or a merger) because SAFE investors will have the option to either get their money back or convert into common stock of the issuer immediately prior to the consummation of the change-of-control transaction. The SAFE is also different from a convertible note because the SAFE has no maturity date and never expires. If the startup thrives and reaches its financial goals without the need of additional investment, so much the better. The SAFE investor continues to hold its SAFE security with the conversion rights entailed. The SAFE investment model seems to have received more acceptance on the west coast. Many angel investors on the east coast are just becoming acquainted with the model, so some early stage companies may experience some delays as they explain the model to some early stage investors. 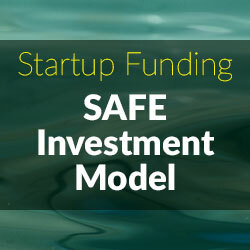 It is also not clear how well accepted the SAFE model will be for crowdfunding (and quasi-crowdfunding) platforms such as Angel List, SeedInvest and others. 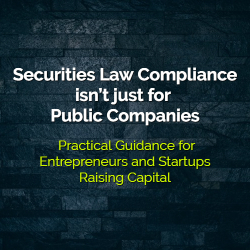 Some of the investors on those platforms are less sophisticated than others and it’s possible that a SAFE offering on a Web platform, which certainly is permitted under SEC Rule 506(c), may require some extra explanation and socializing.